The meaning of the word spiel or shpiel is long speech, sales-pitch or story, typically intended to persuade. It is also a play. 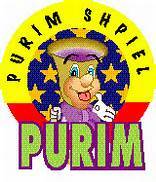 There is a Purim Shpiel, there is a political shpiel and there is the peace process between Israel and the Arabs shpiel. The Arabs who call themselves “Palestinians” were given many opportunities to live in peace with Israel which they have squandered. It is clear that they do not want peace. It is also clear they do not really know what they want from Israel but to make Israel’s life difficult. Unfortunately the world has bought the Arabs’ shpiel. For the past almost eight years we have witnessed a United States president, Barack Obama, acting as if he is the messiah. While he looks in the mirror and he believes in his delivery, at best he is a false messiah. To Israel, Obama has been nothing but a detractor and his efforts to bring about peace and the immense pressure he put on Israel to achieve an agreement with the Arabs ended up in a lull of failure. Now France is planning to have a peace conference, putting Israel on the operation table to figure out which limb it can take out of the Jewish state that will bring about the desired peace the Arabs do not want. Israel’s Prime Minister Benjamin Netanyahu keeps on calling Mahmoud Abbas, the reis (president) of the Arabs in Ramallah, to come chat with him about peace without any preconditions. Netanyahu’s shpiel is not working, he is talking to the wall, Abbas is not coming to attend the game. Let us assume for one moment that Abbas breaks down and comes to chat with Netanyahu and the two reis meet eye to eye and they agree on the desired peace between Israel and the Palestinian Authority. This agreement will be signed by Abbas who long ago became the illegitimate president of his people, as his tenure ended long ago and no election took place to lawfully reelect him. And assuming Abbas signed the peace agreement how will it exactly work when most of the Arabs he presides over do not want peace with Israel rather the piece called Israel. Look what happened with Jordan that has a peace treaty in place with Israel. Jordan signed an agreement with Israel that will allow Israeli companies to invest in Jordan, which will boost Jordan’s weak economy. And the outcome, kinglet Abdullah II had to fire his government that objected to the positive move. While Obama acted as president, Avigdor Liberman went from being a member of the government of Israel’s coalition, to be a member of the opposition and now he is back as a member of the coalition, as the Minister of Defense. Liberman is known for his perspective of the peace process. He said that peace will come to the Middle East but not now, rather a long time from now. There is a Shakespearian story from which to learn here. 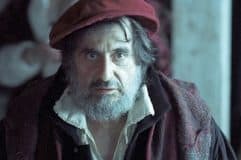 Shylock is the Jewish moneylender in Shakespeare’s story the Merchant of Venice; the shylock – replaced here by Israel – is described as an unsavory person. Then there is the tragedy of Othello – replaced here by the Arabs in the Palestinian Authority – also a story by William Shakespeare. Othello is the Moor of Venice, angelically painted in water colors, a beautiful man, in and out, a general and a loving husband. But trust Shakespeare’s genius writing to play games with our mind. At the end of the day the shylock Jew does not cut a pound of his flesh but reminds the court of his humanity while Othello the Moor is the one who kills his very beloved wife as he falls into the trap set up for him by Iago – replaced here by Iran/Hezbollah – not a shylock Jew nor a Venetian Moor. Iago is a fictional character in Shakespeare’s Othello and the play’s main antagonist who hates Othello and devises a plan to destroy him by making him believe that his wife is having an affair with his lieutenant, Michael Cassio. I conclude that the only way to achieve peace is by refusing to give the Arabs one square inch of what is called the Land of Israel, the Jewish state. There is no room for an Arab state within the legitimate and secured borders of the Jewish state. A new vision, a new plan must be drawn letting the obsession of the failed Oslo Accords’ vision take its place in the dustbin of history. Peace for peace is the formula. Israel must end the ongoing timidity. Worrying what the world will say or do is no way to face the ongoing onslaught on Israel by all means possible. Israel must look the world in the eyes and tell each and every country that gangs up on her, ‘You Need US, the world needs us!’ And let us not stay quiet and say that Israel happens to be the ONLY TRUE friend the United States has in the world. Best to use the old, now renewed formula. Tell the Arabs, you do not want peace, fine. We are doing very well without peace. While you have managed to squander trillions of dollars, paid to you by a foolish world, you have been and you remained one failed society and Israel has become a world power. You want to continue terror, you want to continue killing Jews? You know what Israel can do when she is pushed to fight, when she has had enough. Enough with the window dressing; peace for peace and nothing else goes. Enough with the shpiel, you have not persuaded us!